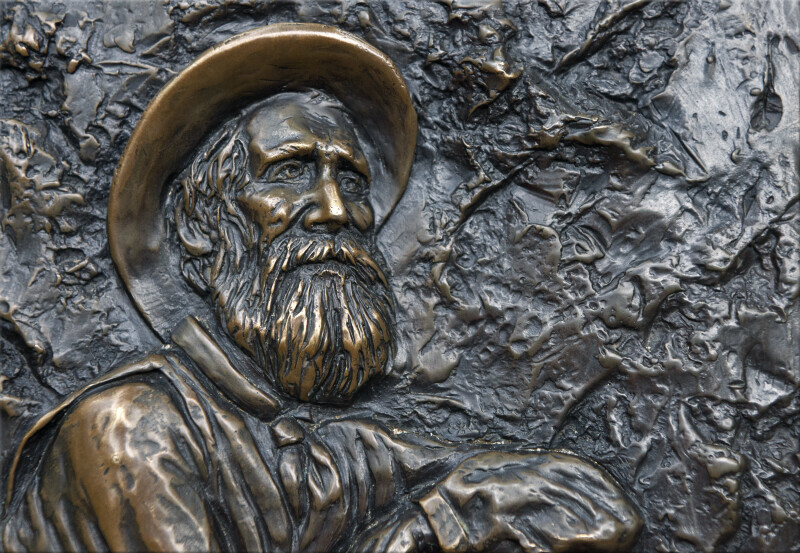 This is a low relief sculpture of John Muir. This artwork is used on an interpretive sign, in Yosemite National Park. This photograph focuses on John Muir's face.